There’s no better way to see the beauty of Budapest, Hungary, than to see it at night! All the tourist sites are well lit and the shadows tend to bring out the best in everything. The amazing building and bridge architecture really stands out in a way that the daylight just doesn’t grab. Bored with the medium and light roasts I’ve been getting lately, I wanted something with a little more ‘punch’. This fits the bill perfectly. 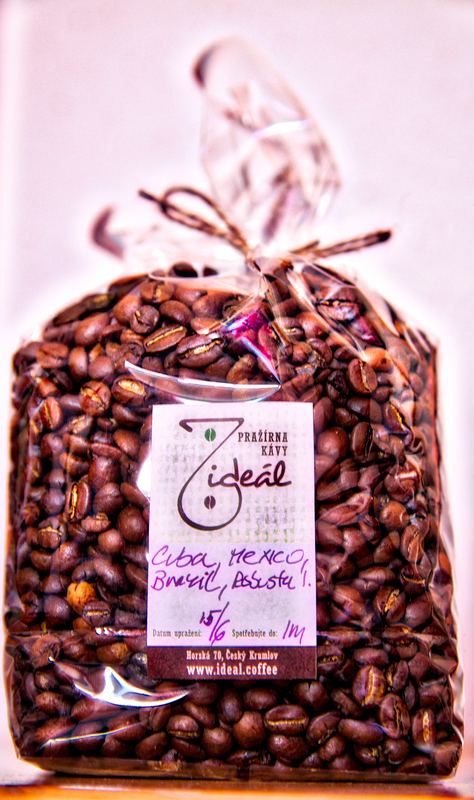 All the flavours of those roasts, with a 10% Robusta bean to give it a slightly stronger and bitter flavour. The result was exactly what I had hoped for! And the cream! Oh my, the CREMA!! Freshly roasted, it nearly overflowed the shot glass. Amazing!! Ideal Coffee in Cesky Krumlov has just agreed to make me a customized espresso blend! Being a small roaster, they are able to adapt to small customer request like this. I’ve found that they make great coffee, but most of their roasts are too light for my taste. This new darker blend will have Arabica beans from Mexico, Brazil and Cuba (which makes some GREAT coffees, in case you’ve never tried them. Amazing aroma after grinding!) And for a little punch, they’re going to add a just 10% robusta beans from Indonesia. I can’t wait to pick up the first batch. And if I don’t like it, they’re willing to adjust the roast profile to suit my taste. How awesome is that?? The best of the best. A small selection of my New Zealand Photos! Sorry, no time to describe all them all. If you have any questions, leave a comment and I’ll reply! Click to see the details of the wing. AMAZING. If you’re getting your feet wet anyway, stop and take a picture in the middle of the stream. When fully open, this fern takes the shape of a kidney. Very common in NZ, these one lane bridges simply state which direction has priority to cross. At the “Pancake Rocks” there are also plenty of flowers. I removed the colour from the rest of the photo. The sand of this beach IS REALLY this colour! If you know the name for this, please write it in the comments below. Taken from my hotel room balcony at Franz Josef Glacier. The longest pedestrian bridges I’ve ever seen. Just outside of Queenstown, moments before sunset. Same location as the Queenstown sheep, but turned around 180 degrees. One day, this will be in the ocean. But today it’s just beautiful! The picture doesn’t do this scene justice. Really really beautiful!! These days there are a LOT of coffee roasters in the Czech republic, but few seem to ‘get it’. The locals here certainly enjoy espresso drinks, but there is no coffee ‘scene’ like you might find in Berlin, London or West Coast, USA. They see a quick buck and produce poorly roasted, improperly stored, or seriously old product. I’ve seen it all. There’s no hope in these products. No point in espresso fine tuning if the coffee is crap. The mailman brought me yet another sample of coffee from a roaster. Today’s parcel came from a name that kept coming up in my research: DoubleShot, a company located just outside of Prague. They don’t know it, but I’d selected them for a little taste test. First, that they’re a SERIOUS company. They understand that their ‘brand’ name is important. They get it. Now to taste the product. I warmed up my machine, a Gastroback Pro G, to make espresso. Then dialled my grinder to a neutral setting. First pull gave an extremely low pressure reading. This suggested I had problems. Big problems. A quick taste told the tale: Supremely SOUR. Systematically I reduced my grind step by step to the smallest setting the grinder would allow. Still sour! Not a huge amount, but I was never able to get the espresso to where it should be. I then resorted to adding more beans, which isn’t exactly what I wanted to do, but I was desperate. Better, but still not there. I refused to surrender. Seeing the details of the package, I cannot believe that the roasters sent me an inferior product. *I* must be doing something wrong. A quick tour of the internet suggested to me that perhaps my dose was too large and I was getting the sour taste from the tail end of the shot. Time to check my machine! I pulled a shot with an empty portafilter. Measuring the water, I found 3 ounces of water. Way over the recommended 2 ounces. Lucky for me, the Gastroback Pro G allows you to program the shot size. I calibrated the volume, reset my grinder and tried again. The shot was still sour, but just a little. I reduced the grind size and pulled another. This one was nearly balanced. Not really sour, but the flavour still seemed a little off. I noticed that the shot poured a little bit quick, which means that the pressure was a little low. Instead of 20 to 30 seconds (the ideal espresso double shot pull time) it was somewhere around 10. I added a little coffee to the next shot. Perfection!! Slightly sweet with some a bit of a caramel taste.